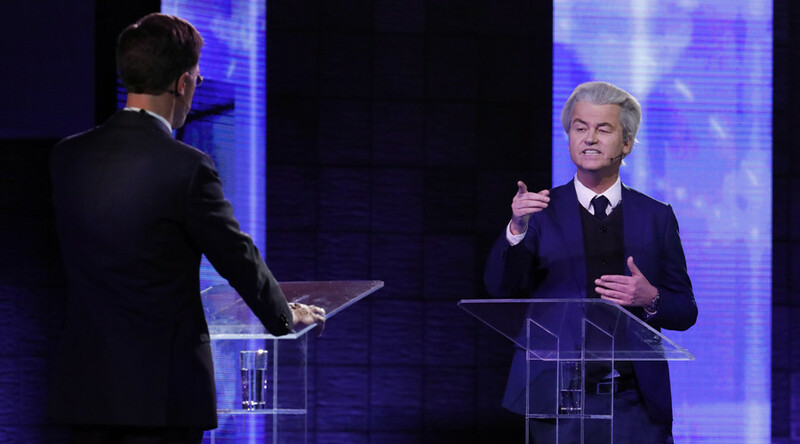 The war of words between Dutch Prime Minister Mark Rutte and far-right populist Geert Wilders exploded in a face to face debate on Monday as Wilders called on Rutte to close the Netherlands’ borders. “You are being taken hostage by [Turkish President] Erdogan. Close the Dutch borders,” Wilders told his top rival, Rutte, during the 30-minute televised debate. “That’s a totally fake solution,” Rutte retorted, hitting back at Wilders’ suggestion that the Dutch borders should be shut. “You want Nexit, you want the Netherlands out of Europe. You know what it will cost… don’t do it,” he warned. If the Netherlands were to leave the EU, it would be “the best thing that could happen to us,” Wilders argued. “What we have to do to protect our borders is not make agreements with people like Mr. Erdogan,” Wilders said, referring to the European Union’s migrant deal with Turkey. Preventing two Turkish cabinet ministers from speaking publicly in Rotterdam was not enough, according to Wilders. “We must directly expel the Turkish ambassador and the rest of his staff from the country, otherwise we accept that we are being insulted,” he said. “That’s the difference between tweeting from your couch and governing the country,” Rutte replied, mocking Wilders’ penchant for prolifically writing on Twitter. “If you govern the country, you have to take sensible decisions, and that isn’t sensible,” he noted. The Dutch prime minister also criticized Wilders’ election pledges to ban the Koran, asking if he planned to set up a national “Koran police” to go door to door confiscating Islam’s holy book. “I still haven’t heard how you are going to achieve the Koran police,” Rutte said. 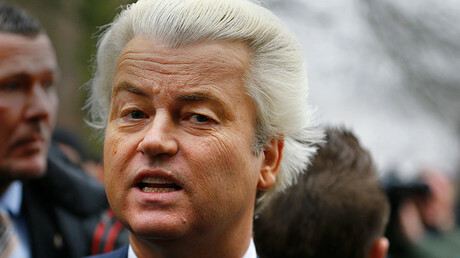 “There will not be a Koran police; I’ve explained that a hundred times,” Wilders replied. “Oh, so it is a fake promise,” Rutte shot back. “If anything, there will be a Liberals police, if you go on like this,” Wilders answered sarcastically. Throwing another jab at Rutte, the Freedom Party leader accused the Dutch prime minister of not fulfilling his campaign promises from the 2012 elections. “Who still believes Rutte?” Wilders said. “We would get tax cuts, a tougher policy on immigration, we would get €1,000. And what came out of these promises? We had record after record immigration. And taxes only increased,” he pointed out.